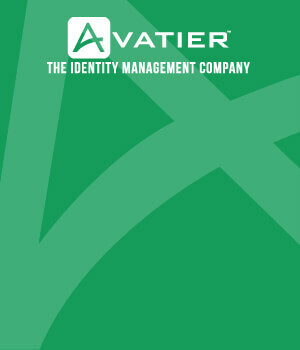 Avatier identity management company values. You’ve probably heard the story about the guy walking down the street next to a building under construction. "What are you doing?" he asked the first bricklayer. "Laying bricks," he replied sullenly. "What are you doing?" he asked the second bricklayer. "Building a stone wall," he replied smugly. "What are you doing?" he asked the final bricklayer. "Building a cathedral," he responded immediately, with pride in his eyes. Establishing a corporate "core purpose", (why do we exist as a company? what would the industry lose if we went out of business tomorrow? ), grounds everyone in a single vision of success. For example, Apple’s core purpose was empowering individuals. It wasn’t written down anywhere, it was just understood. Core values extend the core purpose into action–creating the context, and the way the organization behaves to achieve its goals. Why are these valuable? A study done several years ago by the author of "Built to Last" compared two excellent companies in each of several separate business categories. The first companies had grown well in both revenue and profit. The second group, however, had delivered exceptional growth during the same time. What was the difference? Research showed it was based on a clear understanding of their core purpose and the core values they would live and work by as a result. So core values really do have an effect on both the top and bottom line. But to establish these, they have to be developed from the inside out, not imposed by an executive team. This means, at a minimum, workshops inside the company to "discover" those values through employees. Starting off with a simple question like, "what do you want us to be known for in five years?" will get the ball rolling. Go around the room and ask each participant to name three. You will be surprised with how many overlap. Go for a manageable number—five is a good beginning—I’ll tell you why in a second. Isolate the five most popular values and see if the others aren’t duplicates or subsets of the five most popular. I was doing a workshop for a global technology company (guess which one). One of the core values that had been determined was "ethical behavior". When I asked the question of the leaders of the company’s Eastern European countries they unanimously said that they would give the company a "1" in this area. The CEO immediate broke out in perspiration, thinking "what the…are we doing wrong in Eastern Europe?" But when I asked what it would take for the company to achieve a "5", the unanimous answer was "a set of ethical guidelines". That was it. Simple, effective and no money to implement. I asked the same question of employees from a Fortune 500 company where "respect" was a value. Getting this to a five? "Paint the walls and clean the restrooms". Who knew?…you have to ask. Okay, so you have the values, you have the actions that are needed to live these values, but how long will it take to get employees to really "live" these values. Surprisingly, little time if you follow four techniques: stories, slogans, symbols, and recognition. I’ll cover the other three in another blog (or you can write me at garyt@avatier.com) but the most important of the four is stories. My favorite example comes not from an identity management company, but rather from Nordstrom where corporate stories illustrate one of their prime values: Customers for Life. The story goes: An old grizzled man walked into a Nordstrom store pushing a tire ahead of him. "Can I help you?" asked the Nordstrom associate. "I want to return this tire," the man mumbled. Without hesitating, even after seeing clearly that the tire was bald and had seen some use, the associate responded. "I’d be happy to, sir." No the issue here isn’t the fact that the associate took the tire back. It wasn’t that the tire was well worn and he still took it back…it’s the fact that Nordstrom doesn’t carry tires…This story is told over and over at Nordstrom’s because it illustrates what lengths the store will go to for a "customer for life." It has changed the way the store does business because the employees don’t have a set of rules to follow—but a collection of stories to model their behavior after. How do you create those stories? One of my favorite recommendations, which provides corporate lore and instant behavioral modeling is this: tell people that at the next staff meeting you want everyone present to provide one example of how they lived a particular corporate value since the last staff meeting. Peer pressure, motivation to succeed, or a real love of the value will motivate every single staff member to live that value immediately. So the report card on core values isn’t how clever they are, or differentiated, but how many people take action because of them…every day. In the end, their actions translate into quality products with better service and attention to the customer—which is an aspiration for every successful company. 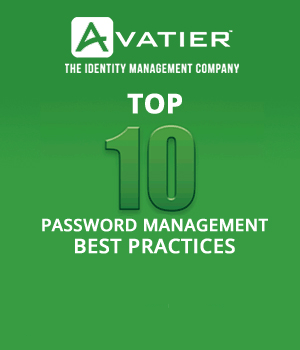 Just ask Avatier employees. They can tell you how their identity management company was built from the inside out. Begin your identity management initiative by following what corporate compliance experts recommend for the workflow automation of businesses processes, self-service administration and IT operations from a leading identity management company.